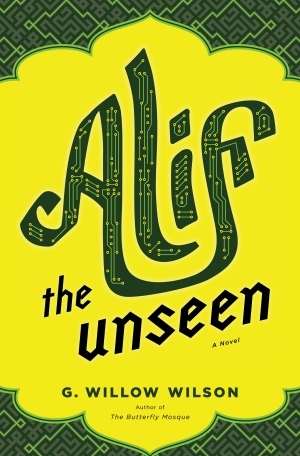 That would be me, blurbing G. Willow Wilson’s awesome debut novel, which features an Arab-Indian computer hacker (Alif), his too-good-for-him-by-half sidekick Dina, a vampire named Vikram, and an ancient, djinn-authored text called The Thousand and One Days. You can read more about Alif here and here. Or you can just show up tonight at Elliott Bay Book Company, where Wilson will be kicking off her publication tour with a reading and signing. (Event starts at 7 PM). I’m looking forward to reading this book. She has written many great comics and graphic novels, and so I can’t wait to dive into this novel.